There was no better way to follow the 2012 London Olympics, than on the Internet. Not only could you watch any of the disciplines live on Youtube at anytime (if you were in one of 64 countries anyway), finding virtually any piece of information you needed was easy and intuitive. 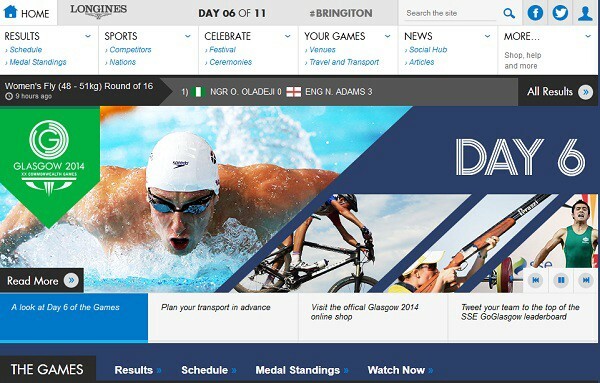 You never expect a backward step in the digital word, but in comparison to the London Games, the experience of trying to follow the 2014 Commonwealth Games in Glasgow online, is turning out to be a rather disappointing experience. Here is what I have to do, if I want to figure out the schedule of events for India on a given day. Step 3: Click on each event to figure out if an Indian athlete or team is involved in the action today. Even this may be unsatisfactory at times, with start lists for many events not updated until a short time before it starts. A simple enough filter would have done the job, but you do not find it anywhere on the site. There is a page where you can filter the athletes for any sport for each nation, but that does not give you today’s schedule either. You could also try to go the page of the event itself, (eg. Swimming), but would be likely to take well over a minutes to compile the information that you need. 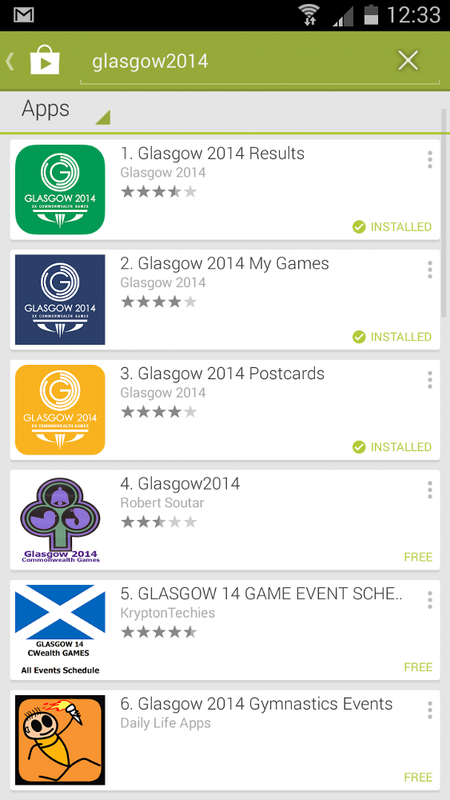 When I searched for “Commonwealth Games” on the android app store, one of the official apps showed up at number four, with the publisher’s name the only detail that provided any hint of its official status. You need to figure out for yourself, that the search term to use is Glasgow 2014. 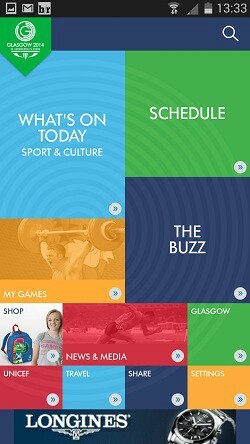 Once you get that right, there are 3 apps that show up on the top, each published by Glasgow 2014 — Results, My Games and Postcards. The Postcard app seems to have something to do with uploading pictures at the venue, but the second thing I notice is a tab to “Buy Credits” and with no apparent use that I can find from the app, it is an option I am hardly likely to choose. I hoped that the My Games app, will be the one that I will mostly use — to help me keep track of my team as well as stay updated with the most important details about the games, but again find it too difficult to use. 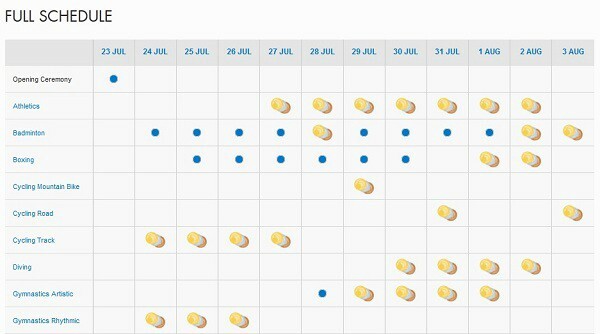 The “Schedule” tab for example opens up a calendar that shows the number of events being held that day (126 events for 29 July). When you tap open the current date, you see another list of all events and are expected to start doing some labor before you could find anything of help. It is the Results app, that I have managed to find of at least some use. It has a clear menu which let’s you choose between easy to understand options like Schedule and Results, Medals, Sports, Athletes etc. A number of navigational issues exist after you choose any of the options and it will still not let you figure out your team’s schedule for the day very easily. Add to that, it crashed more often that it worked for the first few days (though this seems to have been fixed at the time of writing). I have found most utility for this app as a second screen tool to get updated on the event that I am currently watching on TV — ie when I am actually able to manage my way through the navigation and get to the relevant page. I subscribed to all types of alerts I could receivein the apps and expected to be bombarded with notifications through the day, updating me about each result. Under “Settings” in the My Games app, I have dutifully checked boxes that promise me reminders before events start and updates on big moments. What do I get? Nothing. I think I may have received some sort of a good tidings notification before the start of the events for the first couple of days, but even those have died up. The social media performance of the official pages, handles and profiles has been stunningly disappointing. 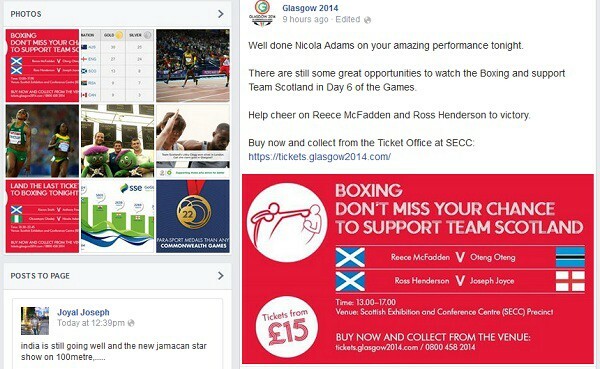 The updates you get from the official twitter handle @Glasgow2014, are random, inconsistent and rarely informative. No sharing of the latest results, hardly any exciting pictures or videos and the only one on one interactions with people seem to all say the same thing — Have a great time. The official pagehttps://www.facebook.com/Glasgow2014 suffers from all the issues that the twitter handle has and some more. Only a select few athletes manage to get mentioned in the posts (and with no clear logic as to why their performance was called out) and there is no consistency even in the posting of self initiated features like Athlete of the Day. With Twitter and Facebook being managed so poorly, expectations from other channels were low, and the experience was poor. Each of these channels seemed a lot more active before the event than during it. Pictures and videos of the action are more or less non-existent and there is little hope that you will see moments like Adam Gemili’s reaction to winning the 100m silver through any official source. There is a property called the Social Hub on the website, which seems to be an attempt to curate some instagrams around #Glasgow2014, but the selection of content and the lack of categorization leaves you with no sense of a story being told. You may have been better off checking this stuff on instagram than the site. 5. No official partnerships with the big guys — Google, Twitter etc. A lot of the first level information that you seek about sports, is answered by Google in the Results page itself and rarely needs you to open a site. By now, you expect a search like “Commonwealth Games 2014 schedule” to display the schedule before listing the relevant sites. 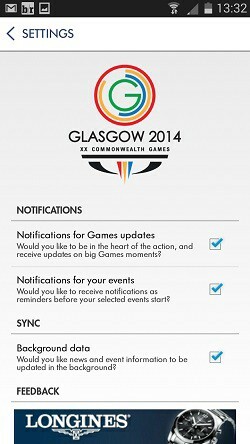 Or a search like “Medal Tally Commonwealth Games” to at least give you the tally for the first five places. Nothing of the sort happens for Glasgow 2014. Not on Google, nothing seems to being done with twitter, YouTube or any of the other web destinations, where you expect an event like this to reach out to its fans. 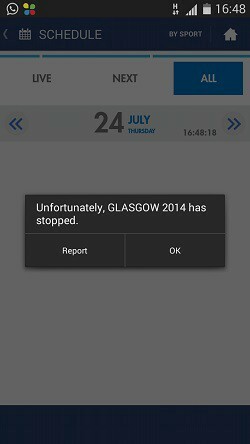 It has been a surprise to be let down by the digital experience of Glasgow 2014, especially as London 2012 seemed to have set certain best practices, which merely needed to be replicated. While this has hardly dampened my enthusiasm for the event, it does reinforce the opinion that when it comes to the sheer grandness of multi-discipline multi-country extravaganza, the CWG is a long way behind the Olympics. Let’s see what the Asian Games later this year, have in store for us.